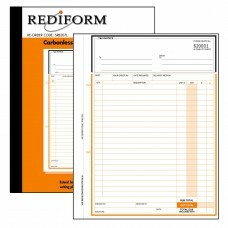 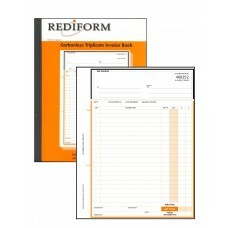 Our Rediform Carbonless Books and Snap Sets enable you to easily create invoices, statements, delivery dockets and adjustments notes. 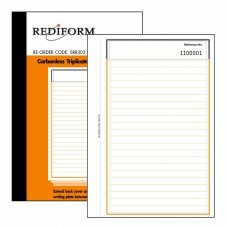 Supplied as duplicate or triplicate books in small (212mm x 147mm) or large (275mm x 200mm) sizes - they are the perfect book to carry with you whilst you work. 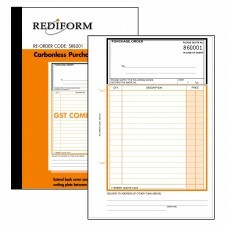 Each carbonless book has a pre-printed layout so that your invoices, purchase orders, or delivery dockets look professional and consistent every time. 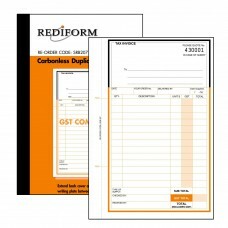 Each carbonless book is also sequentially numbered so that you can keep a record of jobs, purchase orders, or invoice numbers. 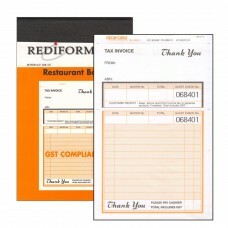 They have a strong black tape on the side binding so that they can be folded over if required without the pages falling out (but this is not advised for the guaranteed longevity of the book). 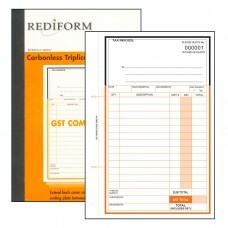 All carbonless books are GST compliant and can be used for your accounting purposes. 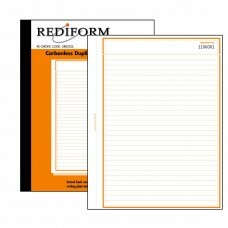 The snap sets are a similar version of the books, but are not bound together and just act as loose duplicate or triplicate sets that can be filed in a ring binder instead. 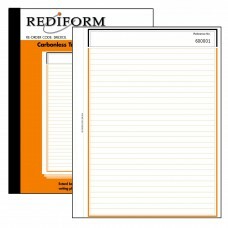 So for small volumes these are the perfect product to create your duplicate or triplicate copies individually and file them accordingly. 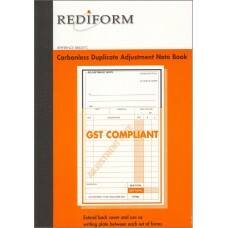 Again, they are also sequentially numbered and are GST compliant so can be used for accounting purposes.